First, the wrap up. 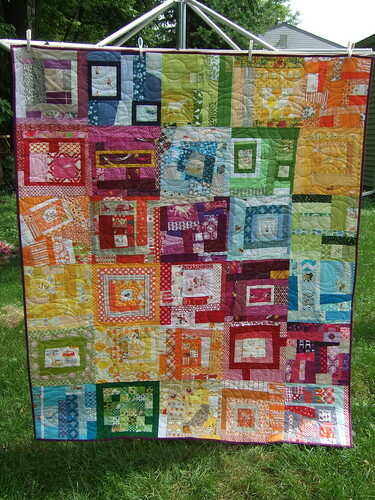 I made a rather ridiculous number of bee blocks this year, doing multiple rounds of several quarterly bees, in addition to rocking out with my ladies over at The Beehive and the Peace circle of Do.Good Stitches. One of the significant changes coming is that I'm stepping back from a number of my bees. The Beehive has gone for two years, and we've come to the unanimous conclusion that we've had a lot of fun, learned a lot, made new friends, and challenged ourselves, but life has changed for a number of us and we're ready to move on. I love that group, and I was really torn about the decision, but it ultimately is what's right for all of us, and I look forward to swapping around Flickr with them all in the future. I also stepped back from the 3x6 after the third quarter, and am debating whether I'll stick with the 4x5 after this round. 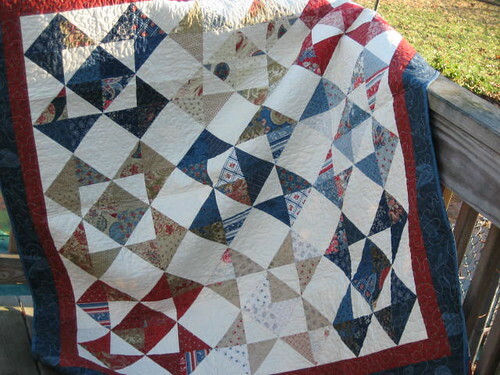 I will absolutely stick with the Peace circle of do.Good Stitches--wild horses couldn't drag me out of that group! 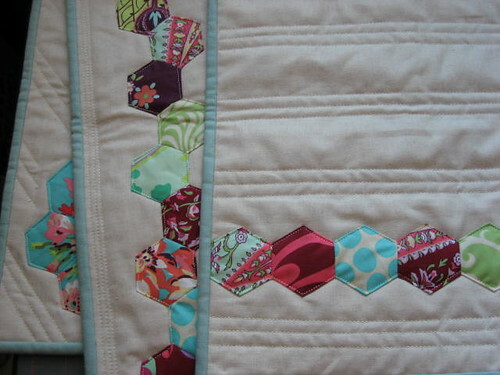 I'm hoping that changing my focus this year will let me finish more of my own projects, including making quilts with the stacks of bee blocks in my sewing room! Finally, speaking of finishes, there were a few this year. 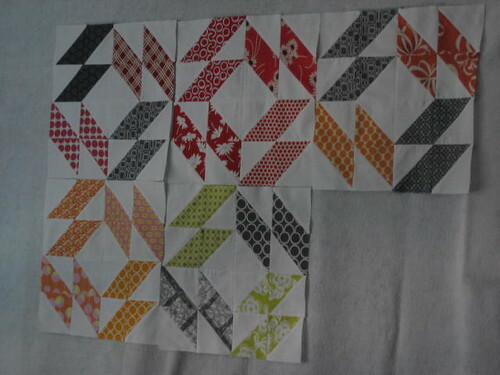 I also made a set of placemats back in March for the Urban Home Goods Swap, round 3. 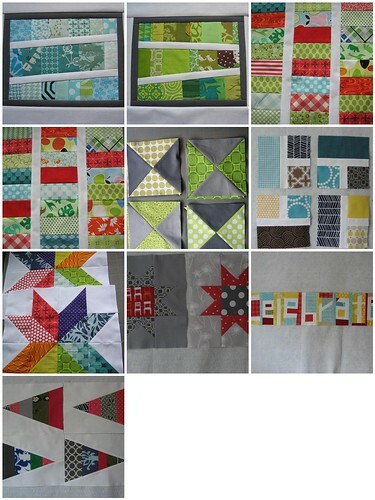 1) Finish more projects than I start. Seriously, I have so many UFOs, it's a little embarassing. 2) Use up some of my stash, especially some of the things I've been hoarding. Wonderland layer cake, I'm lookin at you. 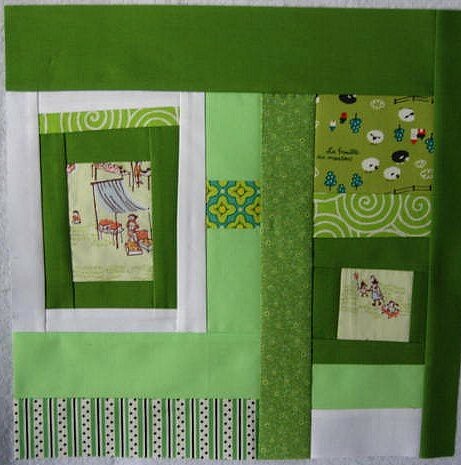 3) Finish more projects, full stop. It tends to be my least favorite part of the process, the basting and actual quilting, so I need to push through that and complete more. 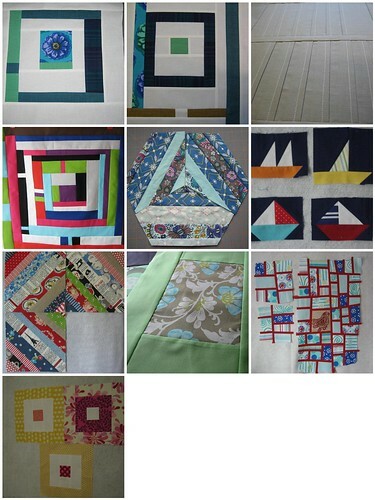 I'm setting myself a lofty goal of finishing 10 quilts in 2012. Let's see if I can manage that, eh? 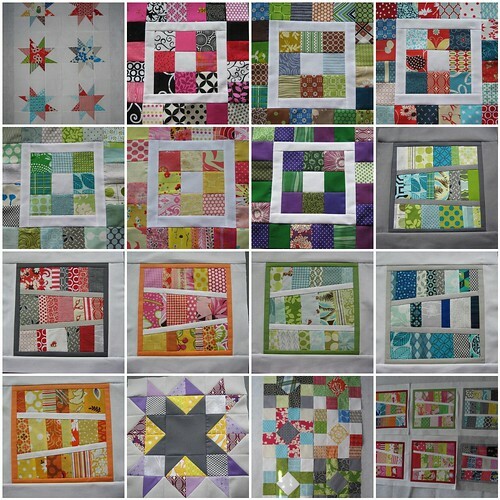 4) Make a few scrap quilts. I'm actually tackling this one early on, as I have two scrappy UFOs already in progress, and just need to get moving on the sashing and putting together of tops for these. 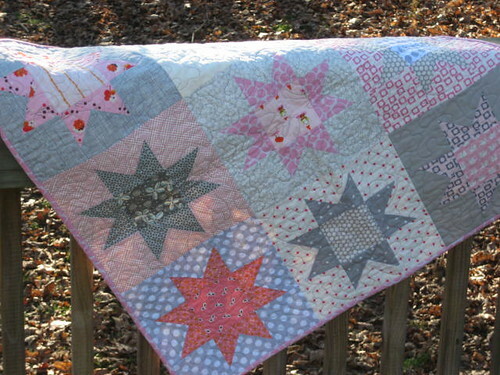 Wishing you all a happy and healthy New Year, full of more good than bad, more happy than sad, and many warm quilts. Thank you for spending 2011 with me, and I look forward to seeing you all in 2012. It looks like your year was full enough! 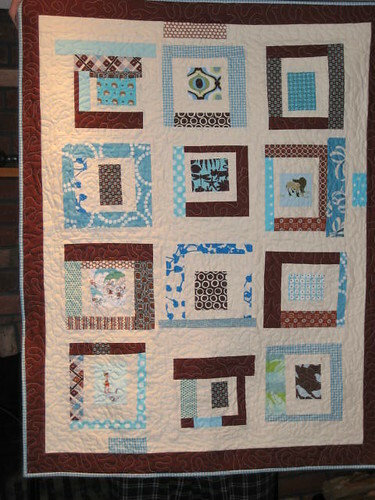 I especially love your little boy quilt! You really have made a lot of beautiful pieces. I hope you and your family have a Happy New Year and many blessings in the new year. I don't even know where to start. Everything is just so beautiful! I hope you enjoy your time off from swaps in 2012. 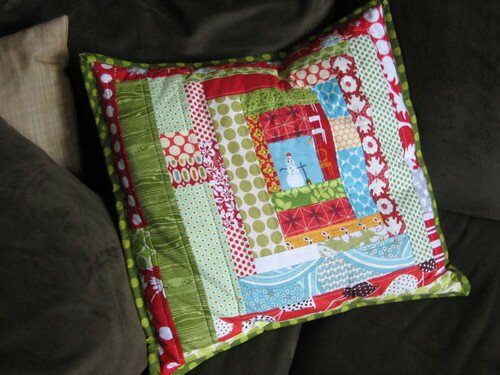 The blocks and swap projects you made this year were/are beautiful! 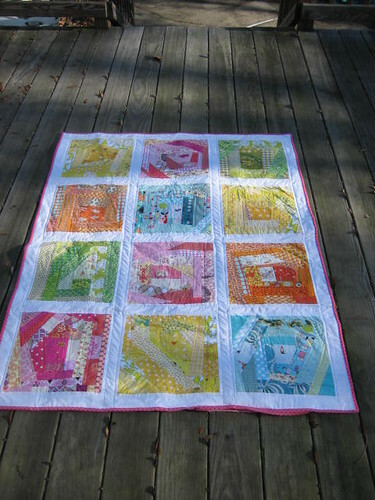 But I understand how heavily your own projects can weigh on a quilter's mind. I'm excited to see what you make in 2012!